Duncan Spender has been appointed to fill the Senate vacancy left by David Leyonhjelm. 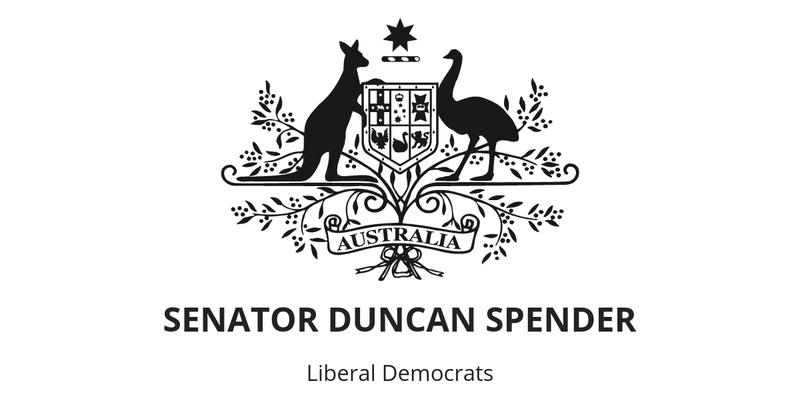 Duncan Spender helped found the Liberal Democrats in 2001 and has been David Leyonhjelm’s right hand man for the past five years. “The Liberal Democrats are fighting to take over the world and leave you alone. “The Liberal Democrats will cut taxes to get the government out of your wallet and end the nanny state so you can go about your business and live your life in peace. “The Liberal Democrats are the only party in Australia standing up for liberal values. The appointment of Senator Spender ensures continuity in representation for New South Wales and the Liberal Democrats. David Leyonhjelm resigned from the Senate on March 1, after the most recent sittings of the Senate, and is now the lead candidate for the Liberal Democrats in this weekend’s New South Wales state election. To arrange interviews please contact the media adviser.